August 24, 2005 / Larry Eisner / Comments Off on d1g1t4l t0m Pwnz you, n00b!!! Greg Mentis’ life has been turned upside down. The private school he attends in England has been rocked by the revelation that the headmaster has gone missing. The new headmaster is strange and mysterious, and there are suspicions that there is a sinister plot afoot amongst some of the teachers to cause trouble to ends unknown. This is the basic premise of “Greg’s Life” a new g-roots ARG that popped up on the ARG radar on August 22nd. So far, there hasn’t been too much to stump a veteran ARGonaut, but the trailhead has led to at least an interesting couple of days in terms of sites, characters, and plot developments. Greg has alerted us that “Celsus School” (warning: benign pop-up-heavy site!) has had some strange happenings lately, and that he and his friend Tom (4 l33t H4X0R!!1!one!) are some of the few students who think there is a vast conspiracy behind the situation. As usual, it’s up to us to dig in and see what we can find. Greg and Tom both have blogs to keep us updated, not to mention periodical IRC chat sessions taking place helping things along as well. While the premise is fairly “traditional” for the genre, there is some potential to this game. 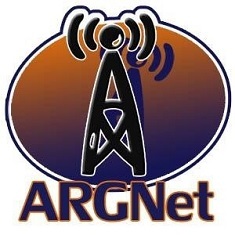 Rest assured that ARGN will be following up with this game, and keep you updated if it appears to be making waves.